If Reality is Ignored or Disregarded, When Do We Become a State Against Its People? The natural science world is currently abuzz over a paper by Anthony Watts of the website Watts Up With That released Sunday, July 29, that shows that untainted temperature data reveals very little actual global warming. Certainly nothing unusual. The warming cited to justify all this redesigning of education, the economy, and societies all over the West appears to be coming from tainted, poorly located, sites like airports or parking lots. Then NOAA, a US federal science(?) agency, that clearly takes its work on behalf of the US Global Change Research Program http://library.globalchange.gov/u-s-global-change-research-program-strategic-plan-2012-2021 as a mandate to create global change whatever the actual temperatures or the causes of any increases, skews everything upward again. Making modelling a truly terrible substitute for reality. You see, the Watts paper shows NOAA adjusted the well-sited increases by a factor of about 3 times. Creativity to Create a Sense of Crisis is probably an apt description for these apparent shenanigans. Now this might just be a scandal among science insiders if we did not also have documented social change transformation aspirations like the Belmont Challenge and the Future Earth Alliance and now that USGCRP 2012-2021 report that looks suspiciously just like the US operating plans and the same time line for implementing the Belmont Challenge in the US. Let’s see, the definition of “Advance Science” being used in that report says it is to integrate “natural and human components of the Earth system.” Well, being a human component sounds a bit better than being a sociotechnical system from another federal report cited in the July 27 story but it is not much of an improvement. We still have federal agencies and federal funding going to destroy the historic concept of the individual that Western civilization was built on. Quite successfully and prosperously I might add. Do you think that’s a typo? It doesn’t say climate change. It says global change. Is that a recognition that AGW was always just a ruse? Well, we know where the international links come from because the Interagency Climate Change task force has the NSF Directorate for Geosciences that is also one of the managing partners of the Belmont Forum. We have the NOAA Climate Program. A desire for a rationale for global social and economic change around Sustainability might explain that determination to find warming no matter what. Finally, the 3rd member of the Global Change triumvirate is listed as the NASA Earth Science Education Science Mission Directorate.I guess someone wanted to reaffirm we are dealing with Capital S Science there. Never a good sign. All three of these agencies currently report to John Holdren who was a co-author in the past with Paul Ehrlich who wants us to have a new kind of mind. http://www.invisibleserfscollar.com/how-disabilities-law-is-already-being-used-to-gain-ehrlichs-new-mind-and-the-future-earth-economy/ I am thinking all that new emphasis on the social sciences and education might make handy tools and weapons to gain new, non-Axemaker, minds. As a brief aside, US Senators weighing their vote on that UN Treaty ought to remember the UN now considers education to be their primary policy instrument too. If the actual measured untainted temperatures show little actual global warming, government officials and the grant seeking professorate class seem to adjust upwards anyway. If a whole word sight dominant reading program shows poor results, you increase the training fees and expand the schools and districts that must use it. If the social and emotional learning emphasis of Outcomes-Based Education has a tragic history since it is deliberate psychological manipulation of pliable minds, you rename it and expand the implementation to a national commitment. Those are all signs of a political ideology being forced without consent on young minds, businesses, citizens, a whole country. The planet that is supposed to be having an emergency. When you refuse to accept the results of experiments or observations of what works, that is the very definition of political dogma. Pretending it is actually Capital S Science will not change that underlying reality. An ideology systematically rejects empirical evidence. Power seeks to reject or transform reality. I guess that is where the new robust emphasis on the social sciences and education and communication comes in. Transforming the reality of permitted human behaviors. We saw the planned vision of consensus creating, managed communication in the July 27 post http://www.invisibleserfscollar.com/blending-sustainability-and-education-to-gain-arational-nonlinear-minds-and-new-behaviors/ . 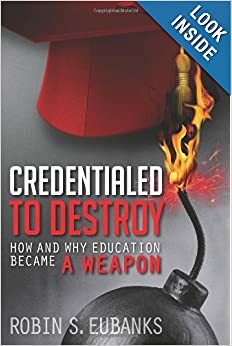 We have been chronicling the manipulation of education all summer and the planned reliance on the regional accreditation agencies to act as the day to day enforcers on K-12 and higher ed of this political vision of education for global change. That leaves the social sciences. Did you know pedagogy itself ceased to be about teaching the content and became a mixture of Marxist political theory masquerading as learning theory, Soviet psychological practices, and cultural anthropology and sociology theories about 25 years ago? It is the ultimate interdisciplinary social science. In a position to create those new non-Axemaker Minds. Especially in those insisting on being called Doctor or those who are Nationally Board Certified Teachers. Those Credentials really do not indicate what you thought. They were actively designed to gain access to positions for imposing political ideologies via education without constraint. Education coupled with pedagogy, and a friendly cultivated media amenable to the desired communications to create political consensus, are indeed perfect methods for obtaining global change. To create an ideocracy. A country which determines what ideas are acceptable and what kind of minds are allowed. Subjugating knowledge to power has a long history. But only in countries where there is no actual personal liberty or economic freedom. Even if it still exists on paper and old textbooks. Are we going to continue to allow education to be used to destroy the independence of the individual mind and other manifestations of liberty like private property and personal genuine excellence in our freely chosen pursuits? It is still a rewriting of the essence of the US Constitution. Now it is out in the open. Please discuss passionately as the still-free individuals that you are. Without any compulsion to reach a consensus on this issue. You are not a subject under government control yet. Oh Good Grief Now I Need to Know What a Noetic System is Because it is Under Attack? No. No. No. The powers that be may not be comfortable with the individual’s chosen action. It might, after all, be an innovation that destroys the current revenue stream of a most favorite campaign supporter. Since emotions and values drive human behaviors in the absence of a conscious, deliberate decision to mentally engage, those become primary targeted areas to cultivate and change and monitor. As we have been discussing in so many of these posts on Social and Emotional Learning. How do I know? Have I told you about the importance of playing tiptoe through the supporting footnotes anytime you are tracking political or economic theories? Is there actual support for this or is it merely someone’s ‘druthers hoping for funding and a captive audience to research the theories on? One of my tiptoeing escapades led me to a very interesting book from 1961, William Kapp’s Toward a Science of Man in Society. Interestingly enough, even though Kapp was an American professor, the book was published in the Netherlands. Perhaps because it laid out a vision for radically altering the structure of Western society. There seems to be quite the proclivity in education and social reform schemes to offshore the actual plans being relied on. Away from most prying eyes I suppose. At least before the days of the Internet. Professor Kapp saw the noetic system as a key component of the social system along with kinship, production and distribution, and political systems. So if you are a stealthy politician or crony and do not want to actually push such a transformative scheme at the electoral ballot box or go to the trouble of rewriting fundamental documents like the US Constitution, you can still alter your country’s or the globe’s political systems by targeting kinship or control over economic production and distribution and consumption. That would certainly explain the communitarian push we have been documenting to replace the individual focus. “I am because we are” is certainly a big shift in kinship. Likewise, Sustainability and UNESCO’s Agenda 21 push and the Belmont Challenge are certainly direct attacks on our ability to produce, distribute, and consume. That leaves the noetic system from the Greek word nous for mind. What makes noetic system an important concept to appreciate is its all-encompassing nature. It’s not just rational thought or the sequential, logical ability we called the Axemaker Mind in the previous post. It gets at beliefs, perceptions, feelings, attitudes, values, instincts, and anything and everything that might impact a person’s decision making and actions. Doesn’t that sound just like the concerns of Paul Ehrlich or John Holdren or James Burke? The limiting mindset to make the Earth a Small Planet of finite resources? So politicians and accreditation agencies and UN bureaucrats and grant seeking professors in Climate Change or Schools of Education or anyone capable of incorporating Sustainability into their grant proposals and duplicitous school and district charters and Positive School Climate NCLB waivers or recently issued Executive Orders or the constant hyping of bullying are all just current examples of attacks on the noetic system of individual students and society itself. We have UN agencies actively seeking that transformation using education and the environment as their primary tools. We have a US President who boasted of fundamentally transforming America if elected who seems to be doing everything he can and things he should not to get this Kapp/Huxley social change strategy in place. We have many cities and communities in the US and all over the world now that are thoroughly bound to implement the UN’s Agenda 21 Sustainable programs pushing us all towards urban areas and transit systems. If you think Agenda 21 is just an urban myth read a few UN reports where they actively brag that ICLEI and Agenda 21 initiatives make UN institutions the only entities in the world with both global reach and local reach. We seem to be on lap 3 of a 4 lap mile race to this desired radical transformation all over the West. And scheming sprinters are breaking away from the pack as we speak. A huge reason policies and practices all over the West have become so warped away from free markets and the concept of the individual has been this inability to appreciate how much of the collectivist attack was created through assaulting our personal and collective noetic system. Like dirigiste and the politically driven centrally designed economy, the noetic system is a nerdy sounding word that hides concepts that we have to appreciate in order to protect them. For me, the US discussion over the Common Core national standards and content feels like a “Look Squirrel!” cry to redirect our attention from what is really going on. That’s partly because I track these education shifts globally and over time so I can see the actual template. More importantly, I think, is all the different subjects I track every day to catch how education fits into a much broader planned transformation. When you are also reading the planned economic and social changes that treat the economy and the environment as a co-dependent Ecosystem in need of governmental redesign around the declaration that “Spaceship Earth faces an ‘all hands on deck’ emergency”, you see the preferred redesign tool of education differently. Plus there are always multiple pages just on how to use education to create the desired values, attitudes, minds, and behaviors. Likewise it is hard to pretend Common Core is about content when I read yet another report on creating this new Ecosystem. This time it refers to people, that’s you and me and all those captive students, and our behaviors, which ought to be free and based on personal decisions, as “sociotechnical systems.” That’s from this summer’s fun report on using the computer and IT industries to promote “greening through IT.” It turns out that a different kind of future mind is key to the “massive cultural, social, political, and economic changes” self-interested politicians and bureaucrats and their Big Business allies are relying on for this lucrative for them planned redirection. I guess that gives new meaning to education for future citizenship. Really not about the Bill of Rights or why the Founding Fathers set up a republic and a federal system. Following Paul Ehrlich’s co-author from the previous post on new mindedness, I located a 1995 book, The Axemaker’s Gift, laying out the desire to move back to the “primitive” intuitive mind lost when certain humans began creating tools like axes or the phonetic alphabet. Or mathematical symbols and explanations for real-world phenomena. These inventions and innovations can create artificial private mental worlds or a means of artificially changing the environment. They also foster specialist knowledge that is not accessible to everyone. According to the book it is that rational, logical axemaker’s mind that created the modern world. And they do not like it one bit. The sequential, analytical mind that can create innovations like the ax or the printing press or the combustion engine is precisely what has been and is under attack. It certainly puts the so-called Reading Wars and Math Wars in a new light, doesn’t it? Here’s the kind of thinking that the authors, James Burke and Robert Ornstein, defined as “arational” from our title and want to get us back to. They believe “axemaker gifts” unnaturally alter the environment and would like the developed West to shift back to a more natural relationship with the environment and self-sufficient economies that reject fossil fuels. Since we might not be willing to go along, the decision gets made for us by pushing initiatives like digital literacy and Competency and 21st Century Skills and Learner Outcomes in education, K-12 and higher ed, that have planned aspects the typical person is unlikely to appreciate. At least in time. In this vision “Knowledge would then be the experience of having traveled on the web.” In case that dramatic statement is not enough, the computer will allow everyone access to information and data and “users’ would not need to ‘know’ anything.” It turns out that interacting with a computer if you have not yet developed an axemaker mind is conducive to never developing one. I am not going to belabor the point now except to mention that some of the digital literacy advocates are simultaneously doing blurbs touting a successor to capitalism or that this new kind of thinking is for a more pastoral, desired mid-21st century future. Delivery of Common Core is being premised on all this IT technology being a primary platform for the student and their daily interactions at school. Advocates do not get to revel in the revenue potential of education and an economy centered on sustainability principles and then pretend this is just about individualizing education around the student’s interests. A suspect goal from the beginning if you ask me. So we are now aware of the real focus of these education reforms and we know what the consequences of previous attempts to plan economies and alter human minds has been. It’s not good. We will only know what we are supposed to know to create a consensus for the already planned social and economic policies. And first and foremost to get to this imagined new future is to create new motivating values and a different mindset to filter experiences. So we get a new curriculum and new ways of measuring learning and different classroom activities in order to try to shift students away from logical, analytical, fact-filled minds that create their own conceptual understandings. That creates independence and really helps define each person’s individuality. If you wonder why these initiatives are going on all over the world now, apart from the UN and OECD and the green economy push, I think yet another report this week has more answers. That’s the real reason new minds are needed. It’s the same reason slaves were not to be taught how to read. Our political class and their cronies think we need minds of servitude. There are to be no more axemakers gifts without official permission. Winston Churchill presciently observed that “The farther backward you can look, the farther forward you are likely to see.” That’s the irony to the argument that the world is now changing so fast that students no longer need actual personal knowledge of what has gone before. What worked well and what led consistently to catastrophe. In fact if the world is in flux to a significant degree, that calls for more factual knowledge, not less. Instead, of the absurd argument now that relevance involves real world problems or concrete situations from a student’s everyday life, relevant knowledge is best obtained from what has endured over time. Guideposts of personal living that have consistently led to prosperity to be emulated or disaster to be avoided. In either case, familiarity and appreciation for what works, and does not, and why should be the essence of education, K-12 or higher ed, academic or vocational. When I wrote “Learning to Learn” on July 18 I was relying on the Small Planet book for the discussion of New Minds. The actual copy of New World New Mind:Moving Toward Conscious Evolution (1989) was in transit though. When it arrived I discovered a book that was far more graphic than I would ever have imagined that tied together so much of the changes in education, the economy, society, culture itself, and US and Western political systems we have been discussing in numerous posts. All in one place. It explained ed reforms in the 90s and the entire Sustainability push over the past 20 years and current efforts in all these areas. For now there are two hugely important aspects of the book we must appreciate immediately. If only someone was in a position to implement the alarming aims of New World New Mind we might need to worry. Well John Holdren is the Science Czar for the Obama Administration and the National Science Foundation reports to him. Which would put him in charge of creating the Belmont Forum in 2009 and the Belmont Challenge in 2010 and the Belmont Forum’s activities in launching the Future Earth Alliance (FEA) in 2011. And when the Future Earth Alliance created its final framework document in February 2012. Holdren remains as FEA prepares to become operational in 2013 with the aim of “achieving a sustainable global society.” Is anyone surprised that the social, economic, human development goals and behavioral changes EFA is seeking mirror the New World New Mind vision? We need to pivot though because our worldwide cultural effort has latched onto a new vehicle to try to get the US Senate to ratify the UN Disability Treaty this week. Completely unaware of how that will pull in UNESCO’s Learning to Learn, Learning to Be nonacademic education vision for all students in the US. And not through the temporary regulations being stealthily used now but through a ratified treaty that sounds considerate and kind-hearted. Let me explain. There was a global education conference last week in Cairns, Australia that American educators attended to get ready for Common Core here. They blogged in excitement about the Competency Wheel created by educators from Alberta, Canada. Basically the wheel is a visual of the affective attitudes and values and skills desired for students anywhere in the West. What the already in power want and no more is a valid description of what seems to be in store for our students. Getting them ready and willing to go along with that New World and Future Earth I suppose. Following the wheel back to Alberta by internet brought me the ubiquitous 21st century skills. No surprise. More importantly though it brought me to a 2011 report “Supporting Positive Behaviour in Alberta Schools: A school-wide approach” and a 2005 document “The Heart of the Matter: Character and Citizenship Education in Alberta Schools.” Appendix A to Heart of the Matter even has Nel Noddings’ work that we so recently tracked to student wellbeing in Oz. These 2 documents not only combine virtually every stealth ed initiative we have mentioned as a key component of the actual implementation of the US Common Core, but they do not pretend it is still about content. That anyone is trying to transmit knowledge anymore beyond the basics of literacy and numeracy and political issues that can be manipulated to create a sense of urgency for social change. No. Thank goodness the Canadians are honest enough to say explicitly the Common Core is desired values. And not the ones that make you grateful for the Maple Leaf or Stars and Stripes. Positive behavior measures are now being pushed globally (I have the book) as a unobtrusive way to use education to gain desired social change. In the US http://www.invisibleserfscollar.com/how-social-and-emotional-learning-as-the-primary-focus-is-coming-in-all-the-windows/ it is now coming in through anti-bullying campaigns and PBIS/RTI for all students. The PBIS continuous improvement troubling curriculum is being required for all students through the disabilities laws and rules. UNESCO has been pushing social and emotional leaning as a primary emphasis all over the world as an equitable focus for schools since not all students are equally able in an academic orientation. That was my first thought when I heard about the UN Disability Treaty yesterday and anger that Senator Jim DeMint had put a hold on considering it. Then I remembered the work I had done on Universal Design for Learning. Originally designed to give disabled students equal access, UDL was quietly incorporated into how Common Core must be implemented in classrooms. Instead of alternative methods for some, UDL mandates that only universally accessible methods and practices be allowed for any students. It explicitly mentions lectures and textbooks as discriminatory. I knew that but had forgotten the implications until my brain woke me up early this morning. Reminding me that the metacognitive, learning to know yourself, alternative classroom activities UDL pushes as accessible for all students fit the methods to obtain New Mindedness outlined back in 1989. I don’t think any of this is coincidental. Do you? A few days ago I got linked in a conversation on Rampant Credentialism. Readers frustrated that the degree they had paid good money to obtain didn’t really provide the knowledge or skills anyone seemed to want to pay for. Another reader complained that he had been a craftsman for many years and was now being told he had to get a certificate proving his Competency. He had paid for the program and finished it so he could keep making a living with his experience and skills. But that the coursework of the program itself added nothing. If that certificate was all someone without experience had, it would barely be worth the paper it was written on. Yet it was now required to open the door to future employment. Ensuring a nice stream of income for some credentialing institution. And what if the next degree is just more of the same? Remember the cliche about the thousand mile journey still requiring that first step? Well the first step in using education as a means for trying to obtain a different utopian tomorrow redesigned around Sustainability and planned and managed through the advances in computer technology needed that first step somewhere. The somewhere has been higher ed. Going on for more than twenty years now. But nobody told the students or parents or taxpayers. College used to be where you could go and encounter greatness. Great Minds. Great Books. Great Ideas to Build On. And if you weren’t terribly good at negotiating those encounters and felt more shocked than invigorated, you changed your major or muddled along or learned to cultivate different important character traits besides the intellect. The world truly does need all kinds of knowledge and skills. The science nerd capable of invention needs the people person to help her sell it. We have talked about Outcomes Based Education in the K-12 classroom. Did you know the Regional Accreditors have pushed Learning Outcomes in higher ed? Major by Major? How about new means of measuring progress and activities so that students from diverse backgrounds and ethnicities and genders and races can all obtain degrees and credentials at rates reflecting their percentage of the population? Did you realize that colleges and universities not willing to go along with the Regional Accreditors vision for transforming American education can lose the right to participate in the federal student loan program? Did you realize the vision of education credentials for all is tied to a political vision for a different kind of society and economy that’s not in place yet? And if it ever does occur, we are looking at drastic reductions in economic prosperity for everyone but the politically connected? Does anyone think the typical employee or exec with a Regional Accreditor has any idea what makes an economy grow? Or a recognition from history that degreed, socially reengineered Human Capital without useful knowledge or skills is a path to disaster? Did you know that other countries pushing Outcomes Based Education in K-12 and higher ed also adopt Qualifications Frameworks to try to force private businesses to accept these credentials? Which means even more regulation and expensive compliance measures from would-be employers? Money that could have gone towards hiring more employees or developing new desired products and services? That Qualifications Frameworks are expensive, controversial, and a quick trip to a dirigiste economy? This already revised nature of higher ed is integral to the Common Core’s definition of College Ready. Many changes are already in place and more are coming. All assume preparation for a reimagined future. A dangerous act of widespread social engineering largely going on outside the public eye or awareness. Even many insiders know something is changing but not precisely what it is or what is driving it. With the current use of the term P-20 meaning Preschool through College, Masters, and Doctorate programs based on generic Competency, Common Core is not just about the attitudes, values, emotions, and interpersonal skill shifts we have been talking about now in post after post. No the student’s job is also to keep showing up year after year to obtain needed credentials that enrich everyone tied into what is the 2nd largest industry in the world after retail. Students exist so that administrators can have well-paying jobs. It’s true in K-12 and it’s especially true on campus. When you reorganize undergraduate education around “Improving Student Engagement, Experience, And Learning Outcomes” or “Learning within a Campus Culture of Diversity,” it takes a great deal of administrative monitoring and meddling to ensure professors do not revert to testing on facts and a body of knowledge. That’s not equally accessible to all students. DING goes the not-to-be permitted gong. Assessment (one of the listed Big A’s in changing higher ed) for all is to be “multidimensional, integrated, and revealed in performance over time.” That should get more students to the finish line of getting a degree. It may also be propelling us towards a world where that credential leaves its holder unprepared for anything but waiting tables. Even worse, some of those with the paper credentials had the creativity and imagination and skills with abstract ideas and sequential logic that were never cultivated. The policies and practices of Education for All in too much of their K-12 and then higher ed means that potential is lost. We are all poorer when we restrict our best minds to basic nutrition needed by anyone. I mentioned in the July 16 post that if the Earth was not moving toward critical environmental tipping points, the proposed Common Core education theories and practices were a fast train to economic catastrophe. Transforming P-20 to Learner Outcomes accessible for all is an expensive fast train to economic catastrophe. And this train has already left the station and is picking up speed. The accreditors seem to want to keep an ongoing relationship now instead of periodic ten-year reviews. So the push for transformative change is now virtually constant. Just what you did not want to hear before you wrote that tuition check or took out that loan. But we need better recognition of what is wrong if there’s to be any chance that next year’s tuition is not to be purchasing an even more manipulated degree program. I don’t think we can rely on Accreditation (the 2nd Big A) to recognize what is wrong with the map they are using to direct the higher ed train. You see, there is no one forcing Accountability (the 3rd Big A to Transformation) on the Accreditors. Nice gig if you qualify. I know you are thinking no one would really say that but they did. In fact the book we talked about in our last post Management for A Small Planet even has a chapter called “We Are How We Think” that quotes a 1989 book by Population and Environmental alarmist Paul Ehrlich. Ehrlich wrote “there is now a mismatch between the human mind and the world people inhabit”. To properly deal with the environmental threats he saw everywhere, people “need to replace our old minds with new ones.” How? By changing the learning process itself. Now before I explain how in ways that will build on things like the SEL, values, communitarian ethos, and higher order thinking we have been talking about, I want to talk about Ehrlich’s dispute and bet with economist Julian Simon over the future. And whether to be optimistic or pessimistic. Now I am not going to explain the wager itself. It is too easy to search the phrase “simon ehrlich wager” and get the details. It is Simon’s vision of humanity and education and the economy I first want to talk about. His vision reflects what most of us think we are getting when we pay property taxes to fund schools or write that tuition check or take out a student loan. If our education spending is based on obtaining Simon’s vision for the future but we are unwittingly buying Ehrlich’s desire for reframed new minds instead, I think it is past time we recognize that difference. Especially if Common Core and the related reforms of higher ed are about to really impose the Ehrlich/Small Planet mental vision. In 1981 Julian Simon wrote a book The Ultimate Resource that rebutted all the doom and gloom about the scarcity of energy and natural resources and the “perils of overpopulation” that people like Ehrlich or groups like the Club of Rome had been pushing throughout the 1970s. Simon argued that it is the human mind that has made natural resources of value in the first place. He believed and argued persuasively that the ultimate resource on Planet Earth is the human imagination of creative, knowledgeable people when combined with a determined human spirit. That combination is what literally creates civilizations. At least it can when it is combined with a political-social-economic system that provides personal freedom from government coercion. That is the opposite of the Small Planet/Sustainability/UNESCO vision of the future. That new knowledge is created from a solid foundation of the transmitted knowledge of the Ages that the Common Core and OBE and the UN’s Education For All generally refuse to allow. With the regional accreditors on board to act as enforcers for this Ehrlich/Small Planet quest for new minds. So Simon won the wager and Ehrlich paid him. But Ehrlich’s economic and environmental vision is what has been and is being unwittingly adopted globally through Outcomes Based Education grounded in authentic learning and emotionally engaging pedagogies and ecological/cultural approaches to curriculum. A classic example of winning the battle and losing the war. And mostly out of sight as taxpayers believe they are getting consistent content requirements state to state in case they ever need to move. Other countries got similar Bait and Switch programs. The solution to the created problem in education ends up being a more extreme version of what created the problem initially. Authentic learning (ATLAS) came to Australia officially about 2001. In the US it is a part of the Common Core implementation. The idea is to “investigate real-world topics and solve real-world problems.” Students are to “demonstrate their understanding by applying what they have learned to new and challenging situations.” Ehrlich’s new minds (he has plenty of company from our previous posts) then are supposed to come about through double-loop learning processes. Yes that really is italicized just like that on page 95 of Small Planet just after the new minds quote. I have a feeling all that data and feedback we keep hearing about will be very helpful to this aim of altering mental frameworks. And that fundamental personal reexamination process and inquiry into a real world that the student is unlikely to have much factual knowledge about (content no longer being the main point of school) is officially called “learning to learn.” And it is regarded as a terrific foundation for modifying how people think. To get them to see the world in terms of dynamic interrelationships. And only in terms of their own physical interactions and experiences and emotions. How politically useful but so mentally confining. Makes you want to rebel and go read a book just for spite. If the assumptions in that article are not correct, then all these education reforms grounded in socio-cultural theory and Ecological Systems Theory are actually a fast train to economic catastrophe. Shifting education from knowledge and marketable skills and a wide variety of human differences to a “search for self and social meaning” that “authentically integrates affect and cognition” (from Australia’s 2000 protocols based on US initiatives) is a social recipe for widespread tragedy. Expectations for the future without any reasonable way of achieving them apart from luck or petitioning the government means no widespread prosperity anymore. And there is a substantial amount of science and documented evidence that indicates we are in fact not near any such tipping point. Except those created by overreaching politicians and bureaucrats. And, unfortunately, too many large corporations who have been told repeatedly for 20 years now that a sustainable Green Economy is the future and are already to cash in on a managed, redesigned economy that is based on political power and relationships. The first part of the title comes from a 1996 book, Management for a Small Planet, that is designed to teach business students and management executives what they need to know to get ready for an economy that better matches the “evolutionary processes of Nature (p 13).” Regular readers of this blog would recognize many of the professors cited for authority and the utopian aspirations for the future involved. The acute problem for us is the typical business student or manager does not have the knowledge of history or economics or the natural sciences to recognize the book is based on repeated assertions that lack any basis in fact apart from wishful thinking. And the 3rd edition came out in 2009 ready to be used as a business text or just an aid to large multinational corporations making “substantial commitments to the ‘triple bottom line’ of economic success, social responsibility, and environmental protection.” (online book description) Now who could be against that “triple bottom line”? Here’s the problem for all my readers, whether your interest is education or climate change or economics. This gets us back to that Bronfenbrenner Ecological Systems Theory from the previous post as well as a “Caring Economics” from July 9. Everything is premised on using education to change prevailing economic thought and accepted human values so that “the economic system is not viewed as an entity in and of itself but as a subsystem of the larger social system and ecosystem.” That would be an all-encompassing political ideology to put it mildly, but how many of Small Planet‘s readers and listeners in a seminar or workshop are going to recognize that crucial fact? That the ‘Triple bottom line’ has some really troubling and erroneous foundations? Here are the five basic shifts in human thinking proposed. You can reflect on how handy Common Core and Transformational OBE and Positive School Climate and SEL will be to such an aspiration in the US. Comparable pushes are already in place in other Western countries. (1) A shift from focusing on the parts to focusing on the whole in order to more realistically reflect humankind’s position in Nature. (3) A shift from objective science, which views humankind as a passive observer in the universe, to epistemic science, which views humankind as a participant in the creation of the universe. (4) A shift in science from an architectural metaphor, in which knowledge is “built” within discreet scientific domains that focus on the differences among things, to a networking metaphor, in which knowledge emerges through cooperative processes that focus on the relationships among things. (5) A shift from defining truth in terms of absolute dogma to defining truth in terms of approximations of interconnections, reflecting the reality that truth is something humans seek, not something they know. I disagree even if I have to be loud and obnoxious and disrespectful about it. There are lots of truths we can know. At least until Common Core gains full implementation in a school or university near you soon. But I would agree with the Scientific American author’s point about social engineering being a killer. Except what he sees as salvation I see as ruination. So Now Common Core Rejects Individual Thinking to Embrace Soviet Psychology & Ecology? This week was the perfect example of why it is important these days to read everything the federal government publishes touching education. It also serves as a reminder that the Summary up front never reveals the juicy relevant details we need to know. This is especially true when the federal government announces that Common Core is not a Product as in knowledge American students should know but a Process of learning in “culturally relevant contexts.” It rejected the traditional view of cognition as “too narrowly focused on individual thinking and learning” and thereby proved why you really do not want unaccountable federal officials with all that money and power and lobbyists wanting a portion of it establishing local education policy. Just in case you were wondering precisely how online computer gaming had become classified as “learning,” there you go. And the push for IPads or SMART phones in class? Interacting with the everyday technology and each other is now the kind of tool use and community practices that are to constitute Common Core learning for the 21st century. If you, like me, are struck by the fact that it would be difficult to come up with a better strategy for creating mindless drones, don’t worry. There is still the NEA’s Purple America values curriculum and all that Positive School Climate moral and character curriculum to create a sense of well-being that we have been talking about. You really do want to laugh, don’t you? It seems rather preposterous. But remember that pronouncement on learning “through social interactions in a community” involves many of the same agencies and funding entities involved in that Belmont Challenge restructuring of the US economy and society around sustainability and citizen wellbeing. We talked about that in the June 14 post on the Belmont Challenge and the next post on the Future Earth Alliance http://www.invisibleserfscollar.com/the-belmont-challenge-and-the-death-of-the-individual-via-education/ . If you have not yet read those posts the Future Earth Alliance is not a group of comic book characters in tights with masks. It will not be coming to a movie screen near you soon. It is, however, a UN affiliated group of bureaucrats and federal employees from various countries and professors seeking research grants operating mostly over in Sweden and trying to restructure Western economies away from fossil fuels into a redesigned and managed economy that will be friendly to Mother Earth and her natural resources. It ignores the fact that human ingenuity is the ultimate natural resource. Probably because ingenious humans have always been such a nightmare for any politician or bureaucrat’s planning schemes. Mustn’t happen in the future. I am joking a bit about a very unfunny subject because all this reimagining of the world and the economy and education seems so absurd to anyone with a knowledge of history. Plus I still can poke fun at destructive theories and plans that cannot work. The government power to tax and coerce and reward cronies with special benefits has always been a danger to the average person. And really that’s all the socio-cultural perspective and the Belmont Challenge and Future Earth really are when you boil them down to their essence. They are power grabs. Schemes to put the average person in an assigned place, dictate their permitted behavior, and gain financial benefits from that ability to assign and dictate. That was what the Soviet nomenklatura wanted from socio-cultural psychological research into creating the perfect new citizen. It appears to be what the bureaucrats now have in mind for Common Core when they target the human personality in the classroom and proclaim it to be “malleable” and capable of change. Yes they did say that and yes I made copies. As you can see it’s all encompassing: mind, people, climate, community, Planet Earth. And it is an honest theory. It does not pretend to be factually true. It acknowledges it was created to justify desired political policies. Except many of us do not desire them. Certainly not in our schools. Using our children as social guinea pigs. That’s the aspiration. Written by prominent professors whose work has been pushed and adopted all over the West through education “reforms.” The definition of Global Competence comes from this group. This is what transformational education change is all about. It turns out the Common Core to be accessed is deeply embedded.